It might not be enough for the special counsel to hand us a smoking gun and an indictment. Donald Trump, Michael Flynn, Robert Mueller: Does any of it all matter? Photo illustration by Slate. Photos by Jim Watson/AFP/Getty Images, Alex Wong/Getty Images. We talk a lot these days about how the United States has sorted itself into two distinct media bubbles, and all the ways in which those bubbles become self-reinforcing and reality-denying. But there is another way in which the perfect epistemic closure that characterizes this moment continues to play out. On Friday, former national security adviser Michael Flynn agreed to a plea deal with prosecutors in special counsel Robert Mueller’s Russia probe. This moment will prove to be incredibly important, or not important at all. The importance or nonimportance of Flynn’s plea will depend on whether the law and legal conclusions continue to matter going forward, or whether they matter not at all. This is the question all of us are asking all day every day: Is the rule of law an escape hatch or a relic? It’s not yet clear what the answer to that question will be. Like most people on the left, I have spent the past year putting great faith in the courts and legal institutions to act as a check on Donald Trump, maintaining this faith even as Trump fired career lawyers like James Comey and Sally Yates and replaced them with ideologues and thugs. And like most people on the left, I placed an enormous amount of confidence in Robert Mueller as the embodiment of the principle that Trump could not escape the oncoming steamroller of justice and legal liability. Even as we remained uncertain whether our political leaders were up to the task of sidelining the Trump train of destruction, we took solace in the fact that the last grown-ups in America were hard at work in the special counsel’s office. And no, they don’t spend their weekends on the golf course. In recent weeks, and most especially in this past week, I’d begun to suspect that the forces of chaos and nihilism that stand against Mueller’s project might swallow whatever outcomes he produced. The shocking norm-and-truth defiance of the GOP tax bill, the refusal of the GOP leadership to criticize or even comprehend the enormous violence done by Trump’s anti-Muslim tweets, the president’s staggering support for the candidacy of Roy Moore, the silent Republican collusion to the seating of demonstrably unfit judges, and the virulence of the White House’s attacks on the press all contributed to a general sense that absolutely everything was broken and that Democrats had lost whatever momentum they had to halt this chaos. In our ongoing national nightmare of creeping authoritarianism, we talk a good amount about normalization and the numbing effects of a barrage of shocking daily news. But I have also tried to be vigilant about all the ways in which magical thinking about law and lawyers—this is a nation of laws, not men, we’re told—can also numb us, and lead to a declining sense of agency or ownership. Democrats don’t like giving up on their institutions easily, and the Mueller investigation has served as both the best and the worst manifestation of that alluring Democratic reasonableness. So long as he is working away, filing documents and convening grand juries, nobody needs to take to the streets. But as the year has progressed, it’s become clear that absolutely nothing will persuade Trump supporters and Republicans in Congress that it’s time to disavow the president—not lying, not spilling state secrets, not abject failure in crisis management, and not openly performed corruption. Given that reality, it often feels like it wouldn’t be enough for Mueller to hand us a smoking gun and an indictment. What if they threw a conviction and nobody came? It seems as though truth and law are forever losing ground in the footrace against open looting and overt totalitarianism. 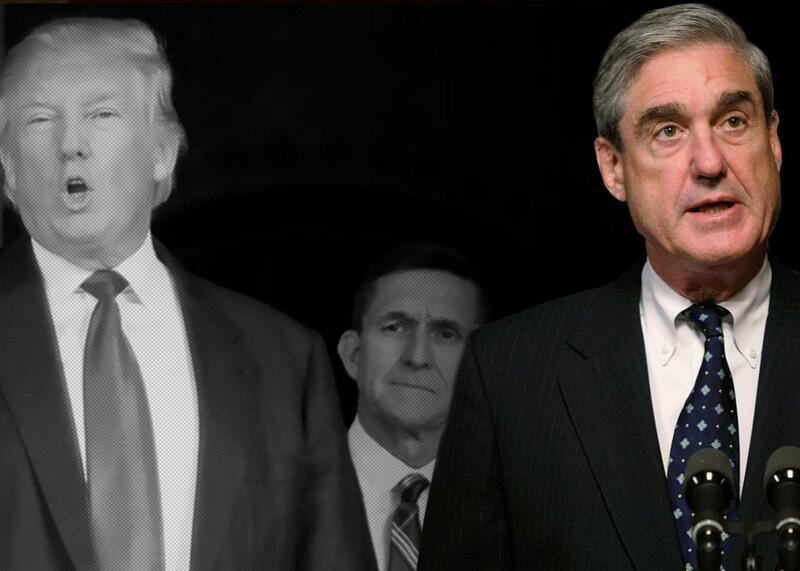 The more abjectly deranged Trump’s behavior and the more Republicans in Congress cover for him, the less likely it is that anything Mueller can magic up in his underground hall of justice will matter. Trump’s legal antagonists like to think that the next legal “tick, tick, tick, boom” will be the one that ends all this chaos. But with every passing day, as Trump escapes consequences and attacks the courts and the press, the chances that a “tick, tick, tick, boom” will be played off as #fakenews also increase. For the past year I’ve been trying to understand what exactly the Trump era has been training us to become. Passive, certainly. Overwhelmed and anxious and unable to focus, without a doubt. But I also wonder whether we’re being trained to abandon our steadfast belief that the rule of law will save us, or if we’re being taught to cling to the illusory protections of the law as it becomes just another on a long list of anachronisms. In weeks like this one, when it seems the Mueller investigation is quite literally the only authority and sanity we can look to, it’s hard to tell whether the net losses outweigh the wins, or whether the massive national game of deconstruction and deflection and deception is even the littlest bit disrupted by news that the special counsel is closing in on a legal conclusion. Maybe it’s really too late in the slide toward authoritarianism for any major legal outcome to change the game. We crave nonpartisan and serious authority figures like Mueller because we believe they can guide us through. But having seen this White House shatter norms around the free press, civility, international diplomacy, and truth-telling, it almost defies belief that the line in the sand, the stopping point, is Mueller. Whether the Flynn news proves to be a game-changer or merely a channel-changer is still not knowable. Until and unless Trump either fires Mueller or Mueller indicts Trump, those two parallel tracks can coexist, so long as the people on each of those trains refuse to acknowledge that the other train actually exists. At this moment when all options remain open, we should accept the possibility that Mueller may come to represent the highest and most binding expression of law and order in America. We also must acknowledge the reality that the highest and most binding expression of law and order in America might not matter enough, to enough people, to bring the Trump train to a stop.